Breathtakingly beautiful, the Dominican Republic provides the perfect backdrop for a picturesque beach vacation. 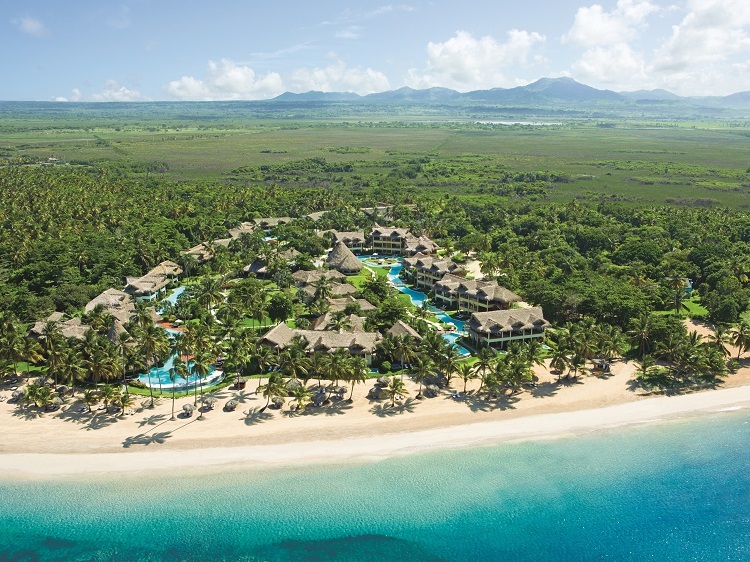 Whether you dream of an adults-only haven or a myriad of family-friendly activities, the right resort can help you make the most of the idyllic scenery by integrating luxury into every element of your stay. Zoetry Agua Punta Cana combines rustic elements with chic design to create a peaceful yet stylish haven. Their Endless Privileges® concept allows guests to enjoy a laid-back getaway where almost everything is included, even taxes and gratuities. Suites are beautifully designed with hardwood furnishings and warm tones for a relaxed feel. Amenities include a pillow menu, furnished balcony or terrace, butler service, fully stocked mini bar, and much more. Villas feature multiple bedrooms and mini plunge pools for added luxury and comfort. The resort even offers dog-friendly accommodations in select room categories. Cooking classes, meditation, and other enrichment activities grant you an easy-going experience. Set aside time to visit the spa where all your stress and tension disappears. You can work out at the fitness center, soothe your body with a massage, or unwind in the Jacuzzi. Four gourmet restaurants serve distinct world-class cuisines from Caribbean to Italian. Reservations are never required so you can indulge as much as you please. Additionally, top-shelf drinks can be enjoyed in the lobby, at the pool, or along the beach without limits. Book and SAVE on your vacation: Zoetry Agua Punta Cana packages are available at All Inclusive Outlet. Embrace an idyllic adults-only environment at Iberostar Grand Hotel Bavaro. This beachfront resort blends the best of old-world charm with modern comforts and conveniences. 272 suites boast a stylish aesthetic and quality bedding to ensure restful nights. Garden or ocean views can be enjoyed from a private terrace while select room categories offer direct pool access. Amenities like a fully stocked mini bar, pillow menu, and more along with the service from a personal butler ensure your experience goes beyond any expectations. Gastronomy is a big deal at Iberostar Grand Hotel Bavaro. You’ll love sampling the delicacies served at onsite restaurants such as Hashira, Casa de la Playa, and more. You can also dine at one of two buffets where you’ll get your fill of mouthwatering entrees and snacks. Enjoy drinks in a variety of settings, including a unique Spanish Galleon ship replica where you can spend a lively night out. Daily activities include fitness classes and a range of land and water sports. When you’re looking to unwind in the sun, head to one of the three pools or two Jacuzzis. Golfers of all levels can play a round on the P.B. Dye course at Iberostar Bavaro Golf Club. The spa is a tranquil space where you can escape to for a massage, body treatment, or facial. Book and SAVE on your vacation: Iberostar Grand Hotel Bavaro packages are available at All Inclusive Outlet. 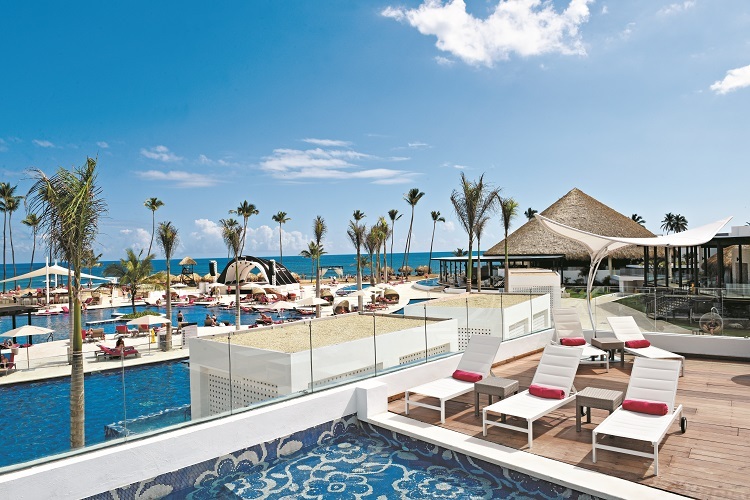 The all-ages Hard Rock Hotel & Casino Punta Cana brings rock star vibes to the resort experience. 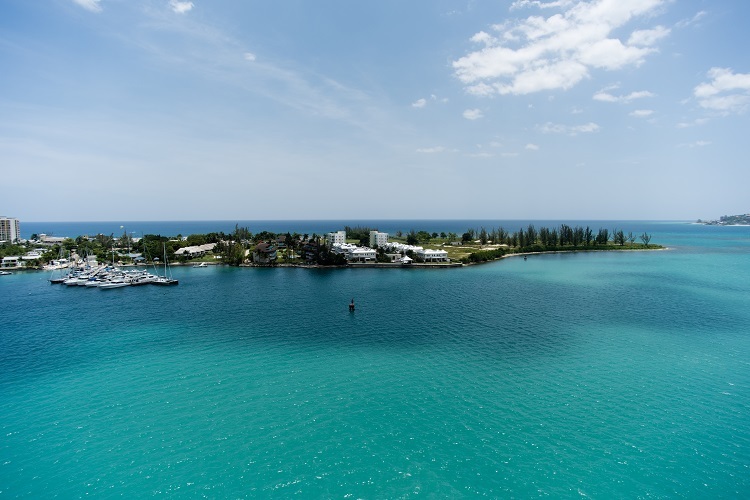 Endless fun awaits vacationers who seek a one-of-a-kind getaway. Accommodations are both comfortable and glamorous. Slip into your plush bathrobe and enjoy a drink from the liquor dispenser. Your in-room hydro massage tub is perfect for when you to unwind while a furnished balcony invites you to savor peaceful moments in the warm tropical breeze. Multi-room suites are great for families or groups who need extra space to relax in. Outside of your room, there’s excitement found at every turn. Visit the Music Lab where you can play in a band, perform on stage, or star in a music video. Rock Om delivers a serene, yet invigorating experience by integrating the perfect soundtrack into your yoga session. 13 swimming pools, a lively casino, and family-friendly activities like mini golf provide hours or fun for everyone. Plus, the Hard Rock Roxity Kids Club™ invites young guests to partake in games, arts and crafts, pool parties, and more. Just like everything else at this resort, dining is a good time for all. Fresh ingredients and authentic flavors like Latin American and Lebanese are delicious down to the last bite. Lighter options along with ice cream are also available. Each bar and lounge offers a lively atmosphere where you’ll love hanging with friends and family while enjoying top-shelf drinks. 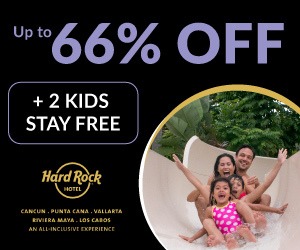 Book and SAVE on your vacation: Hard Rock Hotel & Casino Punta Cana packages are available at All Inclusive Outlet. 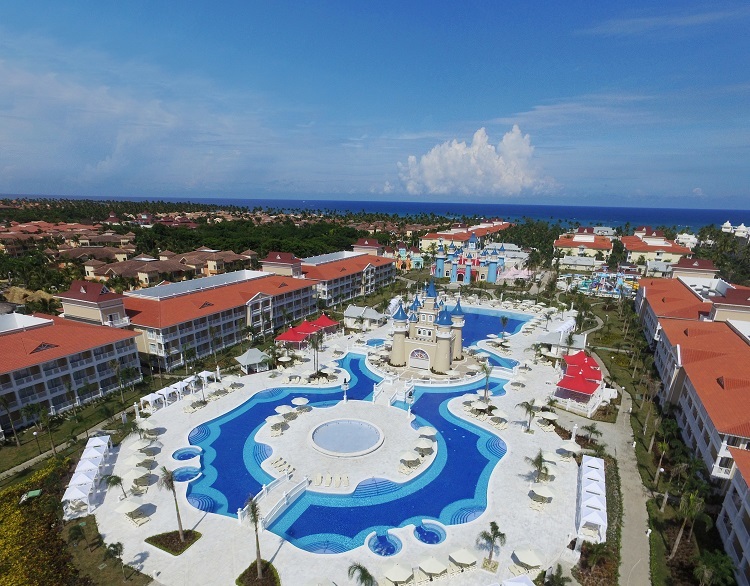 Fantasia Bahia Principe Punta Cana offers a magical vacation for travelers of all ages. Bright, spacious suites are designed to accommodate families who seek maximum comfort during their stay. Amenities include satellite TV, hydro massage tub, living area, and more. Step out on your balcony or terrace to take in sweeping views and order room service at any time if you want a quiet night in with the family. Young vacationers never suffer boredom thanks to crafts, costume workshops, and exciting expeditions. There’s also an onsite water park where kids will have a blast zipping down water slides. Teens are covered with an exclusive club granting them access to games, a movie theater, and a dance floor. Adults are by no means left out of the fun. While the kids play, enjoy land and water sports, fitness activities, and an expansive pool. Thrilling offsite excursions include ATV riding, swimming with stingrays, horseback riding, and more. The resort offers plenty of dining options for all appetites. Whether you’re in the mood for BBQ or international cuisines from Japanese to Mexican, there’s something to satisfy any craving. Sip on cocktails and other refreshing drinks as you soak in tropical vibes and beautiful scenery. 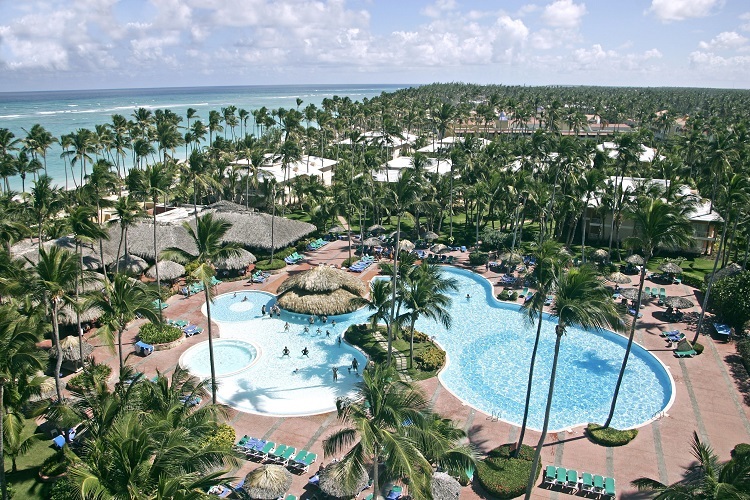 Book and SAVE on your vacation: Fantasia Bahia Principe Punta Cana packages are available at All Inclusive Outlet. You’ll love the sense of serenity at Excellence El Carmen — an adults-only oasis. This bliss-filled retreat offers luxury in every detail, beginning with your elegant suite. Amenities like a furnished terrace, Jacuzzi tub, in-room wine and liquor, pillow menu, and much more are yours to enjoy. 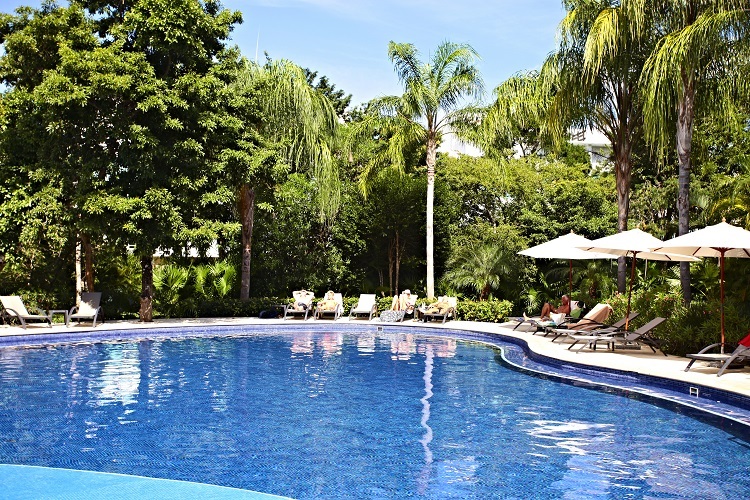 Select categories even feature access to a private pool. 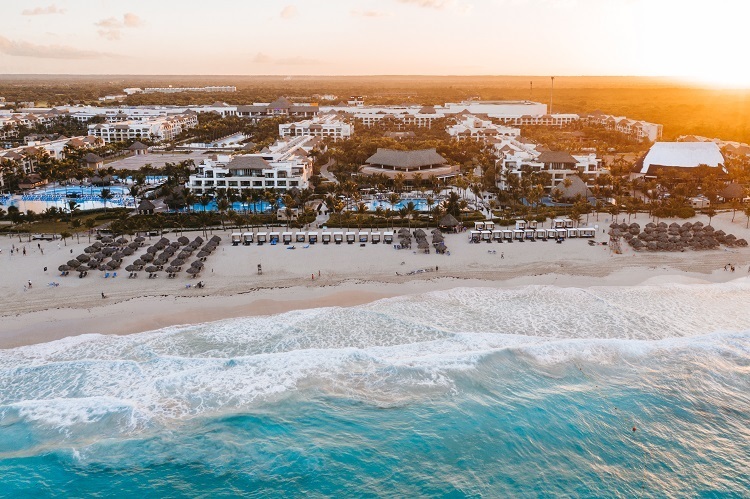 If you’re an Excellence Club member, benefits include late check-in and check-out, upgraded mini bar and room service menu, private beach area, and more to enhance your stay. 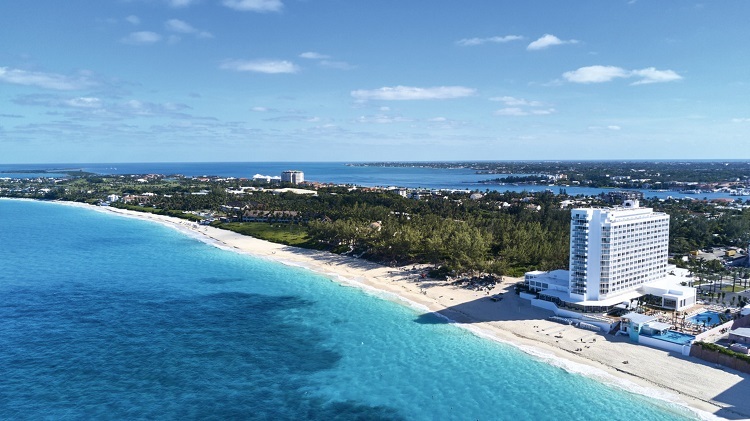 Swimming pools, outdoor Jacuzzis, and a white-sand beach invite you to melt into relaxation. Land and water sports during the day followed by live music and shows at night make each day memorable. Experience mind and body rejuvenation at the spa where beauty treatments, massages, rituals, and more will have you feeling and looking your best. Treat yourself to one culinary adventure after another. The best international cuisines from Mexican to Indian are brought to your table. Other options include grilled specialties, tapas, and seafood. You’ll find a food truck for on-the-go bites as well as a café to satisfy your sweet tooth. Plus, your favorite drinks are always within reach at one of the resort’s many bars. 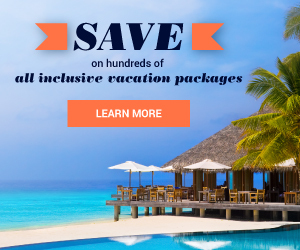 Book and SAVE on your vacation: Excellence El Carmen packages are available at All Inclusive Outlet. 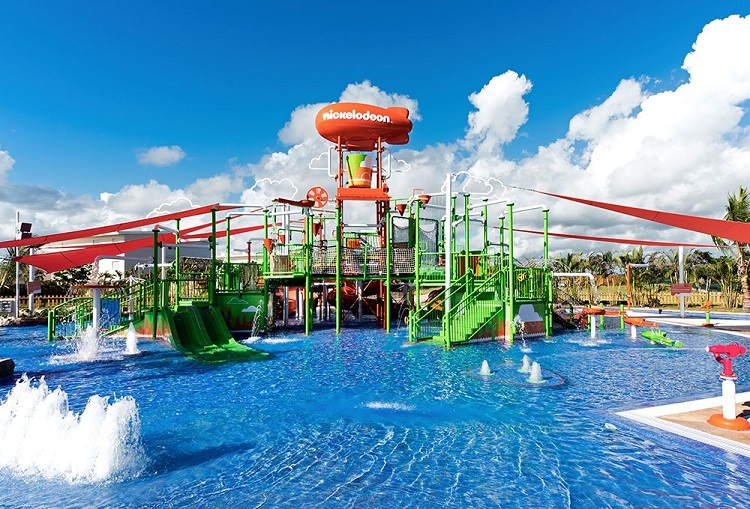 Nickelodeon Hotels & Resorts Punta Cana brings a playful twist to your family-friendly vacation. A unique and vibrant setting combined with the resort’s Gourmet Inclusive® Experience sets the stage for something truly special for all enjoy. Accommodations offer plenty of space for groups of all sizes. Enjoy one king-sized bed or two doubles, a pull-out sofa bed, dining room, balcony with sitting area, and more. Swim-up suites feature direct pool access, and parents can rest assured knowing the resort offers baby amenities like strollers, cribs, baby food, and bottle warmers. For the ultimate Nickelodeon experience, you can stay in The Pineapple, which replicates the home of SpongeBob SquarePants. The two-story Pineapple is your home away from home with a garden and patio, infinity pool, loft-style living room, dining area, and private butler service to care for your every need. A colorful range of restaurants serve to satisfy all appetites, big or small. Share a burger made for the whole family to dive into or dine at Spacewalker for meals that are out of this world. You’ll also enjoy world-class cuisines and light bites. For the adults, there’s wine, beer, and cocktails whenever your cravings call for a drink. There’s always a fun experience to be had at Nickelodeon Hotels & Resorts Punta Cana. Kids can have breakfast in their PJs while dining with characters like Dora the Explorer, Paw Patrol, and SpongeBob. They’ll have a blast at Aqua Nick water park or the Just Kidding clubhouse before getting slimed at Nickelodeon Place. Families can gather at the sports and entertainment center or by the infinity pool. Plus, Vassa Spa offers relieving treatments and services for everyone to indulge in. Book and SAVE on your vacation: Nickelodeon Hotels & Resorts Punta Cana packages are available at All Inclusive Outlet. 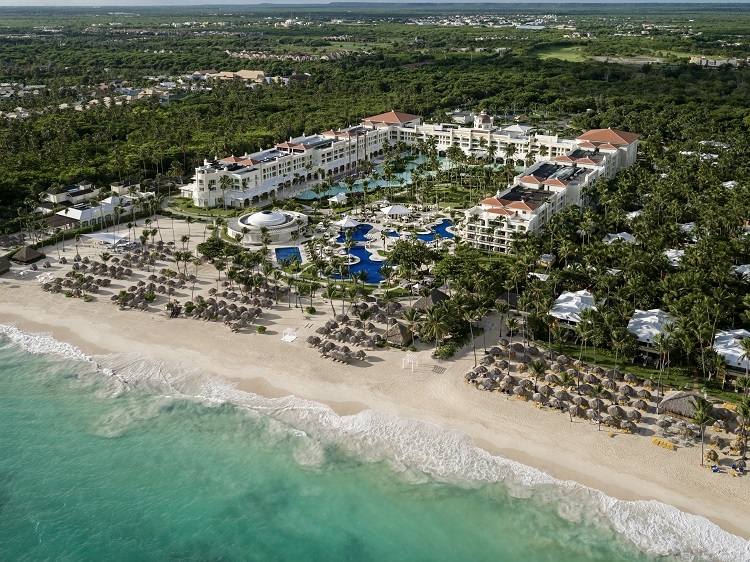 No matter your age or your idea of a good time, you’ll find plenty to love about the Grand Palladium Palace Resort, Spa & Casino in Punta Cana. As soon as you arrive, you’ll be struck by the friendly atmosphere and beautiful scenery of Bavaro Beach. Your room or suite is a quiet oasis to enjoy the tranquility you’re looking for. A furnished balcony or terrace and hydro massage tub are perfect for relaxation. Amenities like a flat screen TV, mini bar, Internet access, and more provide comfort and convenience for your stay. A la carte and buffet-style restaurants deliver a quality dining experience. A variety of casual and elegant venues serve every day favorites like pizza and pasta to flavorful plates from Mexico, India, and more. In addition, locations like the lobby, pool, and beach all serve a premium selection of drinks all day and night. Make the most out of your time in Punta Cana. Partake in land and water sports like beach volleyball, kayaking, windsurfing, tennis, and more. Stretch out next to the pool or sunbathe on the white-sand beach. Kids and teens have their own hang out spots where they can meet other guests their age and enjoy games and other activities. When the sun goes down, hit up the casino or the theater for a live show. Book and SAVE on your vacation: Grand Palladium Palace Resort, Spa & Casino packages are available at All Inclusive Outlet. CHIC Punta Cana offers the ultimate in relaxation and pampering on Uvero Alto Beach. Its trendy yet luxurious atmosphere delivers an adults-only getaway you’ll never forget. Over 300 rooms and suites welcome you to unwind in your own private sanctuary. Take in sweeping garden or ocean views from your balcony or terrace. In-room amenities include a DreamBed™ pillow top, liquor dispenser, free Wi-Fi, 24-hour room service, and much more. Diamond Club™ members receive additional perks like butler service, pillow menu, private lounge and beach areas, 10% discount on spa treatments, among other exclusive benefits. The resort’s gourmet dining menus include local and international cuisines made with fresh ingredients. You’ll find everything from baked goods and comfort foods to ceviche and bold Middle Eastern flavors. CHIC Punta Cana’s 24-hour drink service allows you to enjoy your favorite beverages from any of the bars and lounges whenever you please. Each venue offers a stylish setting for every occasion and mood. In between delicious meals, cool off at the main pool or the unique glass-walled Mermaid Pool. For a fee, you can rent a private cabana to enhance your poolside experience. Visit the Oxygen Bar to boost your energy levels then break a sweat at the fitness center where you can participate in kickboxing, Zumba, yoga, water aerobics, and more. Starting at noon, the casino is open to anyone who wants to try their luck at one of the slot machines or gaming tables. Book and SAVE on your vacation: CHIC Punta Cana packages are available at All Inclusive Outlet. 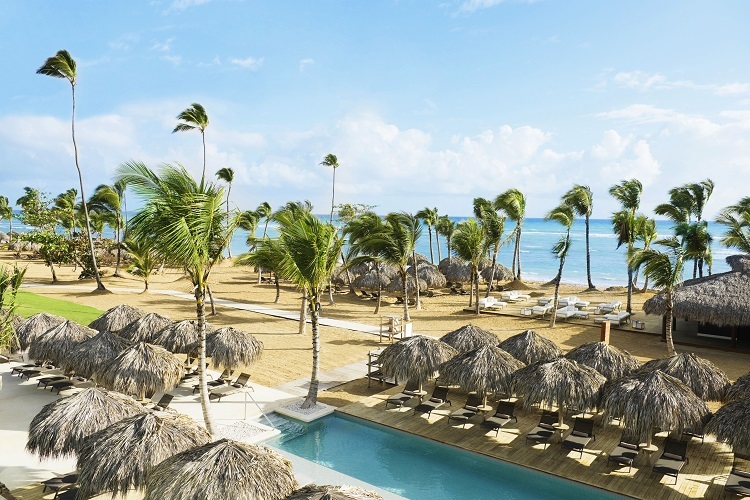 From kid-friendly vibes to adults-only sophistication, Dominican Republic resorts offer all the makings of your dream getaway. 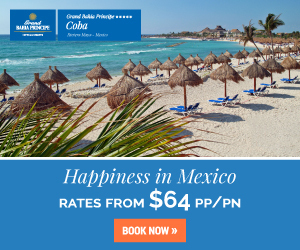 Search through the best discounted vacation packages by visiting All Inclusive Outlet so you can leave your cares behind and immerse yourself in the beauty of this Caribbean nation.